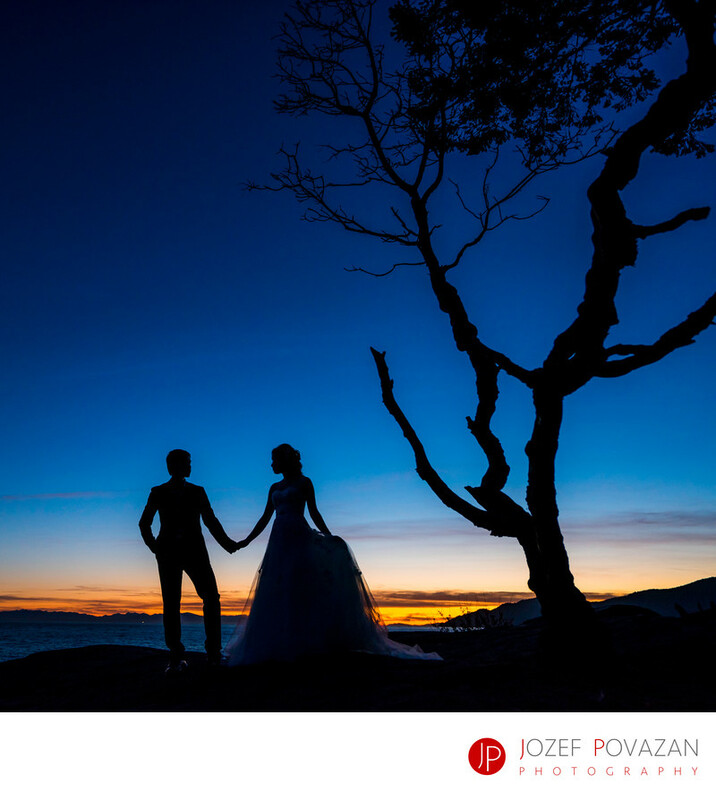 Dramatic sunset wedding silhouette pic Lighthouse park - Best Vancouver wedding photographer Jozef Povazan Photography studio. Wes Vancouver Lighthouse park became easily the most popular engagement location during the last year. Well this year I had 2 wedding couples interested to photograph their wedding creative portraits in here. One of them managed it after their weddings and the other couple is about to get married soon. Here is a Dramatic sunset wedding silhouette pic created by Jozef Povazan Photography at the amazing Lighthouse park location. Who would say mosquitos would be already there at the end of March? Location: Lighthouse park, West Vancouver, BC, Canada.